A visionary, a creative soul and a passionate hair designer, Christiaan Georgio is a name that needs no introduction in the beauty and hair industry. Bringing the creative endeavors of this celebrated and sought after hair stylist right next to you at the Grand Hyatt Mumbai, the Christiaan Georgio chain of salons welcomes you to experience luxury beauty services like never before. 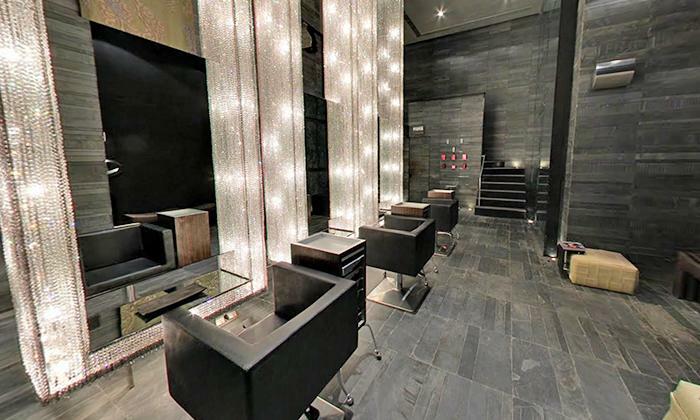 A chic, posh and swanky salon, Christiaan Georgio is here to let you enjoy a taste of perfection when it comes to all things hair and beauty! Within a matter of minutes, you'll witness the transformation that the highly skilled and trained team here brings about in you. Experience finesse, experience luxury and experience pampering all at once and all under one roof and all like nowhere else, only at Christiaan Georgion, Grand Hyatt Mumbai.